Res Assured Limited - Builder, Driveways/Patios/Paths based in Waterlooville, Hampshire. 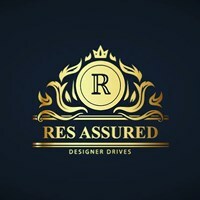 Res-Assured Ltd are a family run company providing outstanding service within the Hampshire and surrounding areas. We take on any job big or small and put 110% effort into each and every project stiving to ensure our customers receive exactly what they want and within the budget they set. We pride ourselves on the level of detail and quality of our work which is why a high percentage of our customers return time and time again and recommend us to family and friends. We can supply a free no obligation quote for your project and aim to have this to you within 24 hours upon receiving your request. From the initial idea and design stage, up until job completion and after sales care, you can count on us every step of the way.